Australia, a country known for its positive mindset, forward thinking culture and pragmatic people, is a success story of the last decade being recognised as one of the few countries in the world avoiding recession over time, with a constantly growing GDP. The pharmaceutical environment is open to innovative treatments, but the reimbursement process is particularly long with uncertain outcome. Servier Australia has a long-standing reputation of fruitful collaboration with key research centres. Australia is a leading country in scientific research and development, with a strong tradition of institutions focused on innovation, in both medical research and improving healthcare. To capture the local opportunities of this prolific R&D ecosystem to further strengthen its pipeline, the subsidiary have actively engaged with some of the best researchers worldwide. Collaboration with biotech companies, academia, institutes and government is a key cornerstone of its strategy to put the patient and innovation first. Servier has a collaborative agreement for drug discovery and research with Monash University, which ranked second in the world in the field of pharmacy and pharmacology. Since 2013 the Walter Eliza Hall Institute and Servier have been developing new anti-cancer agents, which translated into the first-ever patient in the world being treated here with our Mcl1 inhibitor. Strong partnerships with investigators have allowed the subsidiary to be a key contributor in clinical trials in oncology, diabetes, cardiovascular and neurodegenerative diseases. With the George Institute, named by The Lancet as ‘one of the world’s most renowned global health research institutions’ Servier Australia have created a fellowship to support outstanding clinical researchers. The ICTR is also in charge of pharmacovigilance both for products in development and on the market. Patients at the heart everything we do! 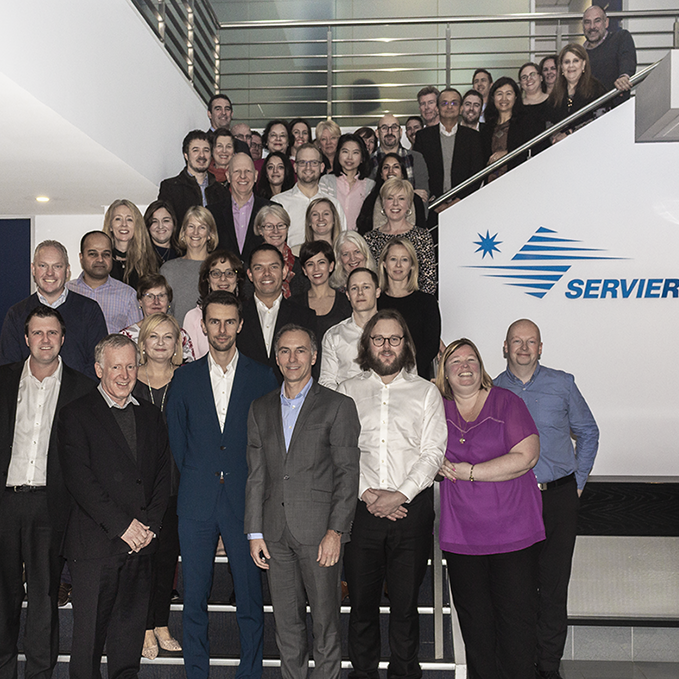 In Australia, the Servier Foundation sets us apart in the pharmaceutical industry. The subsidiary differentiates itself as an independent research based company supporting patients, health care professionals, and society. The following examples highlight how acting responsibly contributes to fulfilling Servier’s vocation. 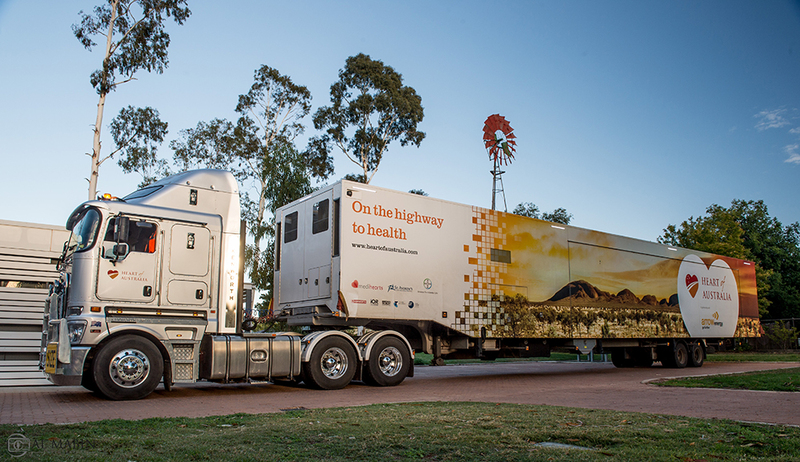 The Heart of Australia truck is a program that embodies the most innovative approach to frontline specialist medical service in rural Australia. Mobile cardiac services are provided in regions where patients would otherwise have to drive up to 12 hours to the closest hospital. A second truck has just been launched including specialist services in diabetes and mental health. The sponsorship of Heart of Australia is recognized as a great contribution to a very worthy cause by patients, doctors, and politicians. Most importantly, all staff is proud knowing Servier Australia is helping rural Australians have better health outcomes. This Patient IN initiative is all about “Xplaining” complicated medical conditions in engaging, entertaining and easy to understand patient stories. The online story books are developed through real patients sharing their journey with doctors who then help bring their story to life in words and pictures. The stories are illustrated by Marvel comic artists as comics are easy to read and appeal to all ages. Servier Australia initiated and sponsor “Depression Xplained” and “Schizophrenia Xplained”. The patients who own and shared these stories were able to join the National Sales Conference of the subsidiary and talk about their experience helping employees to better understand what it means to live with depression and schizophrenia. This resource was shared with Australian doctors for their patients. So far more than 30 000 Australian patients and carers have benefited. Best Employer 2018: and three for Egis!